Burgers are one of my favorite things to grill. I had an idea to make a chili cheese burger. I didn't have any leftover chili to put on top of the burgers, and I didn't want to make a batch just for burgers. I decided to flavor the meat with a package of chili seasoning and add some shredded cheese in the burgers. The result was a great tasting burger! I absolutely loved every bite. This makes four burgers. We cooked two and froze two for later. I ended up making the second set of burgers the next day. I couldn't stop thinking about the burgers. I had to have them again! Combine ground beef, sausage, chili seasoning and shredded cheddar cheese. Form into four hamburger patties. 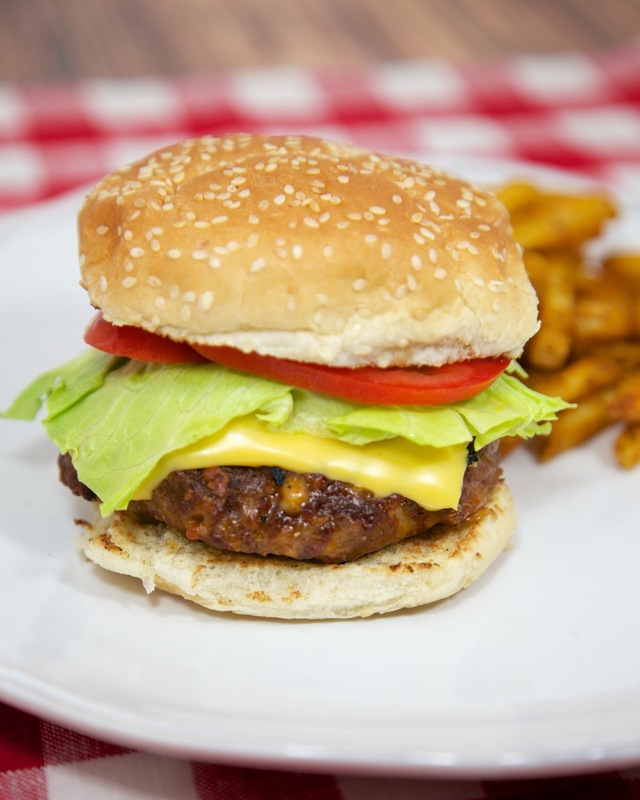 Grill, broil or pan fry the burgers until they have reached the desired temperature. 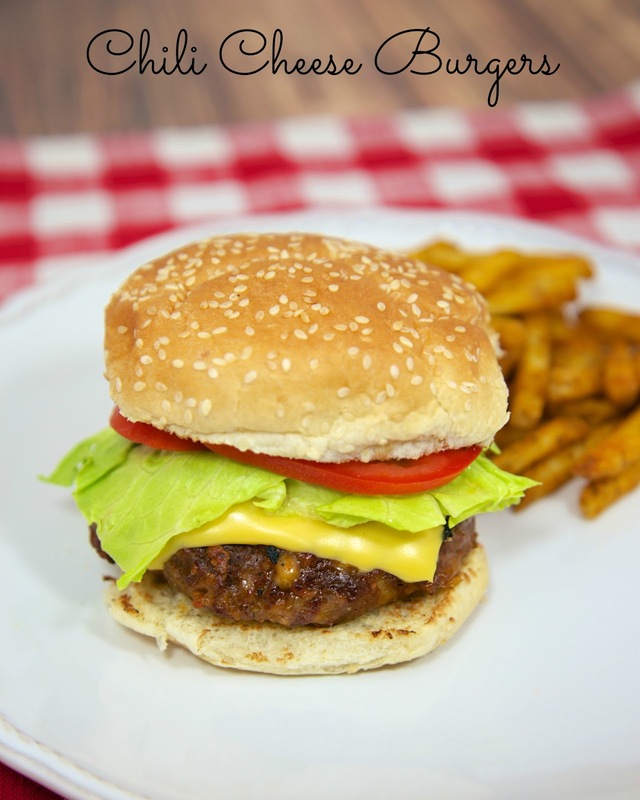 Top burgers with cheese and place on bun. Top with lettuce, tomato, onion or pickles. I like that you added sausage in to the patty. I was expecting chlii as a condiment but then noticed you worked it into the burger.